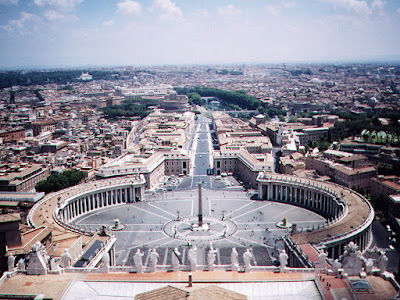 Some have called it a schism (a sin that breaks the unity of the Church). Others have called it a civil war. Call it what you may, it is quite clear to many, both within and outside the Catholic Church, that she is deeply split and fragmented with not just a binary but a multifaceted factionalism, made out of various factions who often adopt irreconcilable positions that are diagonally opposed to each other. Modern and secular commentators often see it as a rift between left and right, liberal and conservative. To those who believe that they are defending the Sacred Tradition of the Church and her Magisterium, it is a fight between orthodoxy and heresy, plain and simple. 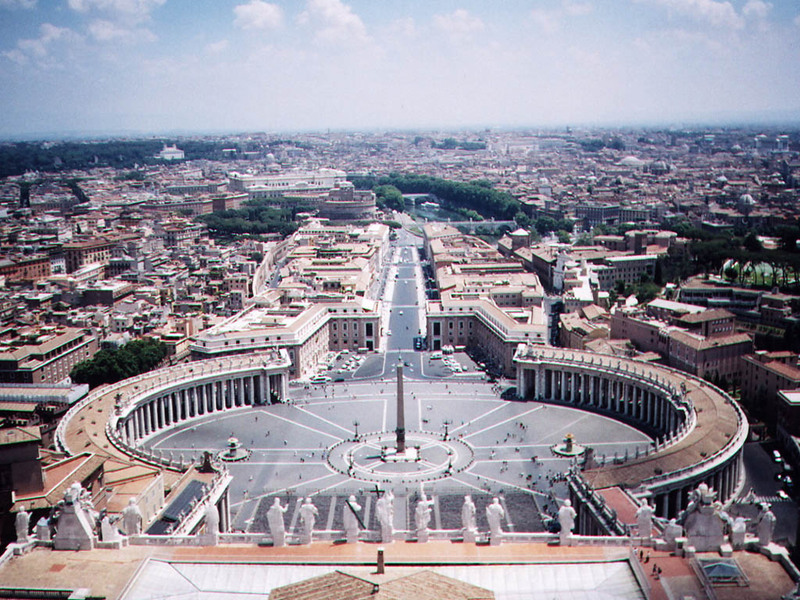 To progressives, it boils down to either supporting or opposing the reform of Vatican II. It is indeed painful and saddening to witness the Body of Christ wounded by this, a Body that has been further scarred by the sexual abuse scandal, with various camps blaming the other for the mess. Some say that it all boils down to the question of what can or should be tolerated and what is intolerable. Now the word “tolerance,” though quite common in modern parlance, is hardly featured in any official Church teaching. Furthermore, the modern concept of tolerance is also problematic, being a kind of oxymoron, a contradiction in terms. For example, tolerance seems to suggest accepting without judgment “all and sundry”, but that isn’t the case. Tolerance stops at the point where someone else disagrees with my idea of tolerance. Thus, the many factions within the Church often tolerate a great deal of nonsense by those whom they judge as either allies or who share their own ideological positions, but would tolerate nothing from the other camp even though the “other” side is capable of doing something objectively good. It is not too far from the truth to state that the Gospel of Tolerance is often quite intolerant, especially to those who do not share similar sentiments, preferences, and theological positions. It would be easy for the various camps to spin today’s readings in their favour, but then a complete, instead of cursory reading of the texts, would soon reveal that both positions are incomplete if they fail to take in the opposition’s perspective. You see, the gospel passage has not one but two parts. The first part speaks of the permissible and the tolerable, the second of the unbearable. St John is featured in today’s gospel as the complainant. In the Fourth Gospel, he’s known as the Beloved Disciple but his remarks in today’s Marcan account does little to endear us to him. He goes to the Master and complains, “We saw a man who is not one of us casting out devils in your name, and because he was not one of us we tried to stop him.” Notice his choice of words, “not one of us.” Interestingly, he did not say that this man was not a disciple of the Lord. He was simply “not one of us.” The point of reference, the grounds of this judgment, is that this man does not belong to their faction. It didn’t matter whether he was a disciple of the Lord or not. Neither does the passage, as so many commentators have attempted to say, speak of this man as being representative of non-Christians. The apostles are worried and annoyed because somebody is able to do good without being part of their group. Their monopoly over all that is true, good and beautiful is being threatened by this “outsider”. But then the Lord reminds them, as does the first reading, that the Spirit is not the exclusive property of any particular individual or group. The Spirit blows where it wills. It is also good to remember that the Church does not belong to any faction. The Church is the Church of Christ, it belongs to Him. The point of reference is “Christ”, not “us.” Thus, it is tolerable that someone who does not belong to this group of Apostles does something good in our Lord’s name. The group needs to know that we do not have a monopoly over what is good. God is powerful enough to let a good deed – for example offering a cup of water – occur outside the group and to reward the benefactor. The story in the first reading is an explication of this first part of the gospel. Two of the seventy men singled out by God who were not part of Moses’ original choice also received the gift of the Spirit. Can you fault God for His generosity? Notice the harshness of our Lord’s words in the second part of the Gospel passage. In contrast to the tolerant spirit in the first part of the passage, the Lord insists that it is unbearable when someone outside or inside the Church misleads those who are spiritually or morally weak (“one of these little ones”). Clear examples of the sexual abuse scandal come to mind. Leading the simple believer astray is satanic and merits merciless annihilation. But man can seduce himself: his evil desires lie in his hands, feet, and eyes, and he ought to move as mercilessly against these as against the seducer of others. Whatever leads astray, should be destroyed; in graphic terms, the members that stimulates one to evil should be hacked off and cast into hell. These principles of tolerance and intolerance are most certainly relevant in the context of our current sexual abuse scandal. For far too long, the cover ups of these sexual crimes under the misguided guise of mercy and tolerance, has resulted in further injustices and continued perpetration of the abuse. As the Pope had said, there must be zero-tolerance for these crimes. This cannot mean that we should demonise certain individuals and groups. From a Christian perspective, all persons deserve unconditional respect and love for the simple fact that they are persons. But this does not extend to behaviour that is sinful and ideas and thoughts that are erroneous. Evil and falsehood should never be tolerated. It is intolerable to call evil good. The Church continues to founder from the sexual-abuse crisis, and, she needs all the support and prayers she can get to steer the faithful past the shoals. The Body of Christ is already wounded by these despicable crimes committed by wolves in sheep clothing against members of their flock. She does not deserve to be further wounded by division, factionalism and in-fighting. More than 40 years ago, Venerable Pope Paul VI gave his great first encyclical the title, Ecclesiam Suam, which in Latin means “His Church.” It is always important to remember this simple truth. It is a reminder that the Catholic Church does not belong to the bishops, or to the priests or deacons or nuns or laypeople, let alone the Pope. The Church belongs to Jesus Christ. It is His Church. This is what we can be certain of. This is what will save us in the end. What else is there to say? Let us take this opportunity to renew our faith and trust in Christ, who will continue to protect His Church, who offers her lasting peace and guides her safely through the storms of temporary difficulties to the glory of eternal life.